4. If your house is getting robbed while you play WoW ... what you gonna do? Pfff ... as long they do not try to take my PC, we are cool. Please, Chloe tell more about yourself and if u like u can put some pics of you ( kidding ), but they will ask you...so prepare for that . It seems you like gaming and you are nolifer , which is not so bad, but boring from time to time. Anyway....positive from me. Everyone is studying/studied IT or medicine...sigh. Anyway I'll give you a positive for your app. Aurell's friends are always welcome! And me liky that you have a great hobby! I like it when people say Hi to me.. you know! "Hi-King" so I should return the favor by saying back hi to you! Hi-Chloe Peate You can have me IMBA "+" G & L ! 1. I dont accept reccomendation as a friend based on time u spared together while lvling with some player from the guild. 3. App is nothing special, everything i find out from this app is that u are new to wow and u lvled with aurell. 21 years old eh...so I won't go to jail...nice...Voting "+" GL! and yet it isnt a recommendation from a friend, but rather a recommendation from a guildie. friends/family recos only benefit is that they give aditional positive points in an app its not for someone to accept or deny. Since we're kinda social guild, my opinion is that its not a must for the new ppl to have ultra-mega skills. We're not an army or some secret sect society but still a friendly crowd..
Thats almost what I do for a living. 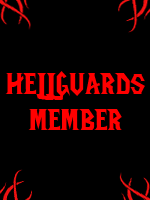 This is a great guild to be in, and I didnt have any MoP experience either when Molten launched it. #1 I agree with Wii's statements. #2 At level 20 you have enough skills to have recognized a skill rotation to increase dps.... you couldn't be bothered to post-just took the 'I'm too low level' route and copped out. #3 I am also concerned about your level given the challenges Mists has brought us....by level 70 you may decide to quit. In the past there were level requirements or at the least recommended before applying...I may be incorrect on that! #4 Passive. Over and over I see this....I do agree there is very little here to give insight into you personality; but I read apps and look for those hints of humor, fire and passion! Well since you are new to mop then could you tell us about LK instead , i have few questions about it. 1 Tell us more about the pve experience . For pve like raids you finished and other stuff you can think of? 2 How long have you been playing on the LK realm. Didn't you apply for the guild once? thought you got accepted..
Well a week passed since then and she didn't reply.